Traveling can be glamorous. Sometimes you see a view so incredible, or experience a culture so different from your own, that you feel on top of the world. Everything is new and exciting, and no matter what type of traveler you are, you feel like a queen. But traveling is also hard work. When you’re travelling there are a million things to plan. Not only do you have to figure out where you want to go and what you want to do, but you have to figure out much less fun logistics like transportation and medical care (which can be so complicated you might need a checklist). From planning and researching to missed flights and canceled reservations, every backpacker reaches a point of needing some simple rest and relaxation – especially if you are always on the go. And in New Zealand, how could you not be always on the go? 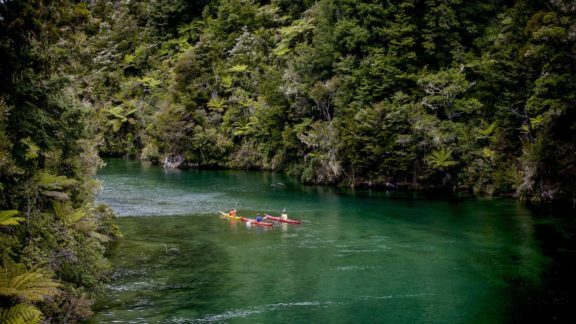 Whether you’ve tired yourself out visiting the many National Parks in New Zealand or simply need a break, here are five things you can do to recharge your batteries. You deserve it! This may seem like a strange way to start this list, but make no mistake, New Zealand’s public libraries make great havens for weary travellers. First of all, they all offer free Wi-Fi and lots of places to plug in your device. Grab a cup of coffee from the library cafe and enjoy the quiet environment while you send emails to family and friends. Visit the travel section to explore the many shelves of Lonely Planet books to get inspiration for the next leg of your trip, or simply peruse the shelves with no agenda at all. If you’re doing a work exchange or staying with a local host, you may be able to borrow their library card to take out some reading material. Either way, New Zealand’s public libraries are the perfect spots for backpackers to hang out and regroup. 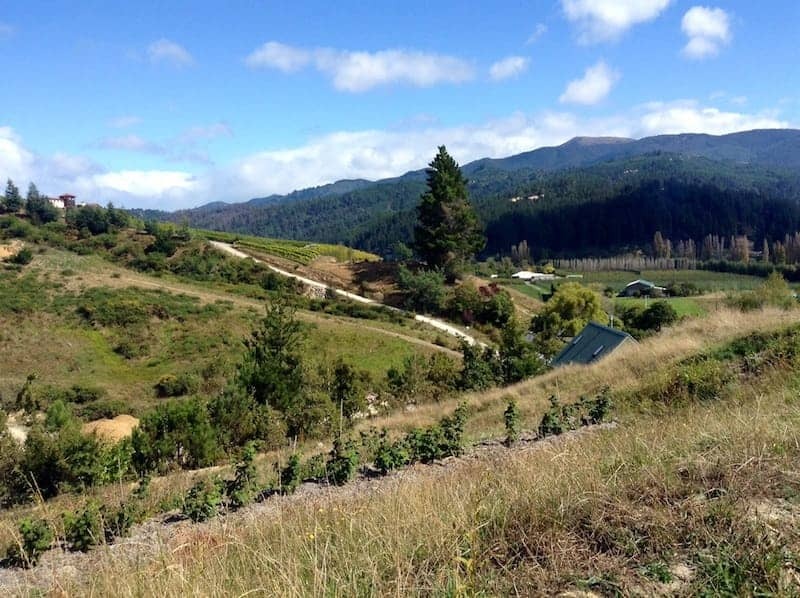 While the entire Coromandel Peninsula is definitely worth a visit, try the small seaside township of Colville for maximum resting and restoring. Colville is the last stop for provisions for travelers continuing north, and you’ll likely see more sheep than people wandering about. Grab a cuppa at the Colville Cafe, take a peaceful walk along the township’s many beaches, stock up on travel supplies at the Colville General Store, or sit in on a meditation session at the nearby Mahamudra Centre for Universal Unity. If you need a few moments away from it all, Colville is the place to go. 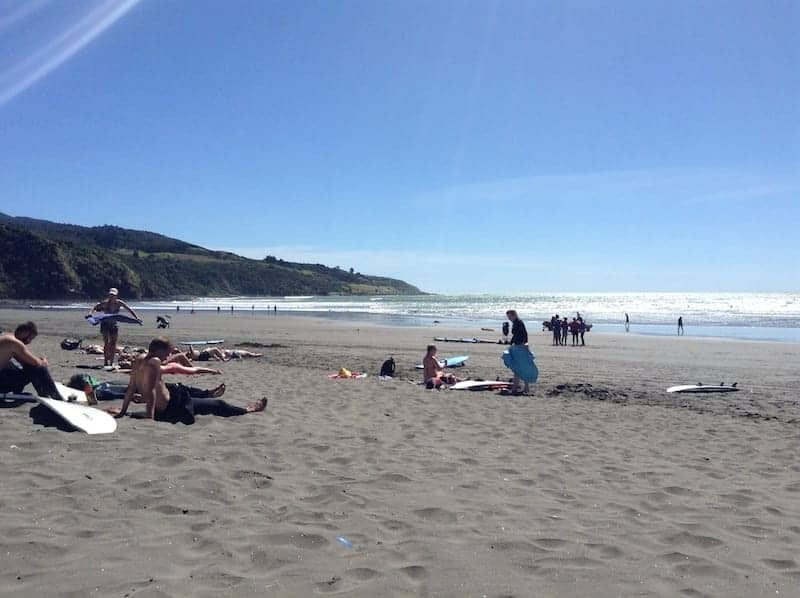 The coastal town of Raglan will give you black sand beaches and a plethora of surfing, boogie boarding, and beach-going opportunities. Creatives and diehard surfers alike flock to Raglan to soak up the culture and the sun. Pack a beach bag and make your way to Manu Bay to walk along the beach where you might find sand dunes and horseback riders. If surfing isn’t your thing, much entertainment can be had by watching others navigate the waves (both successfully and unsuccessfully). When you’re done in the sun, head into Raglan proper for some fish ‘n’ chips and an L&P. 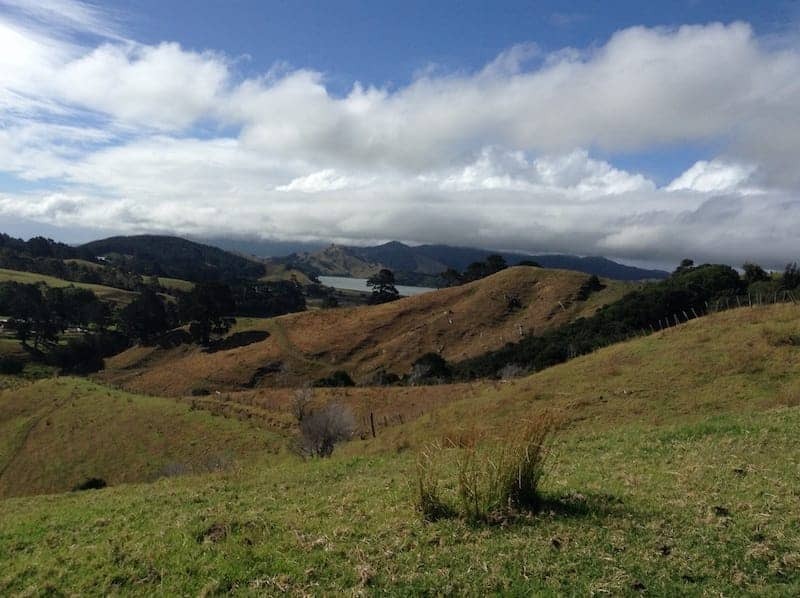 If you prefer a little more liveliness to surround your relaxing, don’t miss a visit to Raglan. 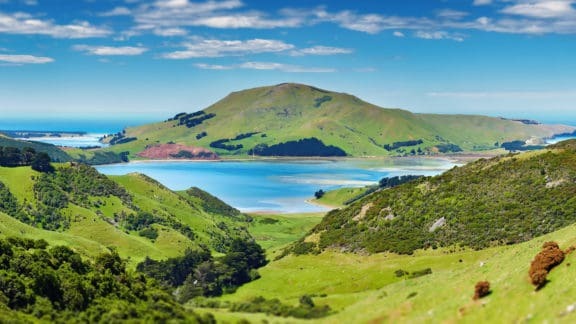 The top of New Zealand’s South Island provides endless destinations for backpackers. When you need a bit of rest and want to experience small town life, try Motueka, a cute little town on the shores of Tasman Bay. 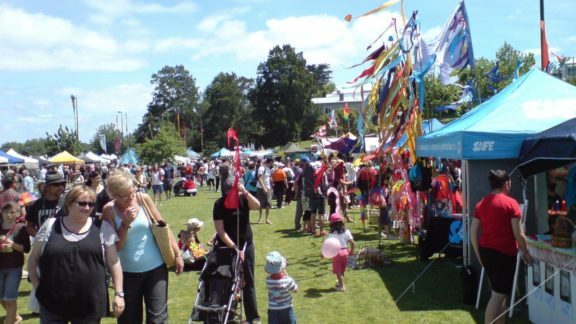 Take a walk around the Sunday farmers market and have lunch at the delicious Arcadia Cafe. This cafe is both affordable (think $5 meals) and dishes up backpacker-appropriate proportions. You won’t leave hungry. Take a drive over Takaka Hill into Golden Bay, where you’ll find Abel Tasman National Park as a well as a hub for culture and the arts. Even if all you do is look at the scenery, you’ll be happy you went. Nothing restores a tired traveler like a peaceful evening spent looking at stunning surroundings. If rest and relaxation doesn’t recharge you, try something different. Giving back to the communities you’ve been traveling through can be a great way to feel restored and rejuvenated. Whether you want to volunteer, possibly on a farm or nature reserve, or get involved in a more complex project like this traveler did, you may find that doing something for someone else helps you feel better than any amount of sleep could. 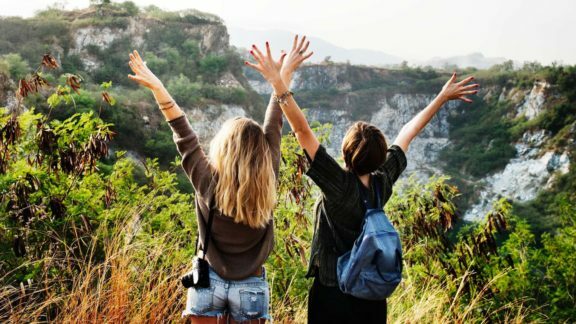 So if you’re a weary backpacker looking for a way to find a few moments of rest and relaxation amidst the craziness of hostel life or public transportation, try spending some time in these havens for peace, quiet, feel-good vibes, and beautiful views. Author: Lettie Stratton is a writer and urban farmer in Boise, ID who spent a year and a half living and traveling in New Zealand. A Vermont native, she is a lover of travel, tea, bicycles, plants, cooperative board games, and the outdoors. She’s still waiting for her letter from Hogwarts.